Georgia state taxes are important to consider when deciding on what state you want for your RV domicile or home base. 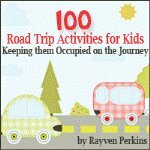 Other considerations for full time RV families include how to homeschool in Georgia, and Georgia drivers license and Georgia auto insurance requirements. When traveling the US states in an RV, you're not tied to a particular state's taxes, licenses, etc. Read on to find out which state is best suited to your situation, although remembering some RV families can't choose. 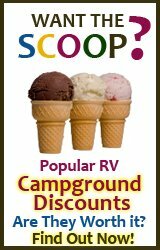 See choosing an RV Domicile, to find out if your domicile has been chosen for you. Probably the most important consideration when choosing an RV home base is the way income taxes will affect you. Most states charge residents an annual income tax, in addition to their federal income taxes. 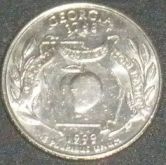 Georgia state taxes include both state income tax as well as state sales tax. Another list of items to consider with the Georgia state taxes are the Georgia drivers license and license plates and tags fees. All of these fees vary by state, so these Georgia state taxes are something to compare and to take into consideration when choosing an RV domicile. Most of these fees are reoccurring. What state you call home determines your automobile insurance requirements. Each state is different, and the coverage required might contribute to your RV domicile decision. Georgia auto insurance requirements are as follows. 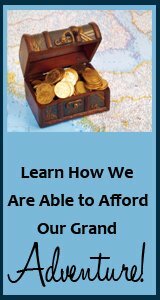 Information on how to obtain Georgia RV insurance is also included. Luckily, you still have the ability to register and vote while on the road. State politics might also be a consideration to take into account when choosing an RV home base. Here is the information on voting in Georgia. Every state in the USA has different homeschooling laws and regulations. On the whole, homeschool in Georgia has many requirements that parents must follow to be in compliance with the law. 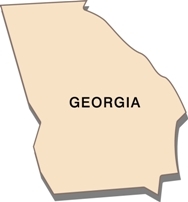 In order to homeschool in Georgia, parents must submit a letter of intent annually, which needs to include the location of the homeschool. This may be difficult in the case of full time RV travelers. Attendance is required at 180 days per year, 4.5 hours per day. Attendance records are to be submitted MONTHLY. The following subjects are required: reading, language arts, math, social studies, and science. In addition, those who choose to homeschool in Georgia must create and retain an annual progress report on each child, held for 3 years. Parents must possess a high school diploma or GED in order to be allowed to teach their own children, or they must hire a tutor who does have these qualifications. Standardized testing is required every three years, beginning in third grade. Though Georgia state taxes and information on how to homeschool in Georgia are probably the two biggest concerns you'll have when deciding on making Georgia your RV domicile state, other information might make a difference as well. The weather may play a factor for you if you plan to set up some sort of home base in the state, and the regulations on gun permits are a very hot topic with many RVers. Georgia state taxes or homeschool in Georgia not to your liking? Don't worry! There are 49 more states to choose an RV domicile from! This RV home base and domicile guide is intended to assist you with making a decision on which state to call home. Though we have done our very best to find current laws and tax rates, each state has the ability to change their rules at any time. Please follow the links above and verify everything before making a decision.